Six months ago, news headlines publicized just how far the Merchant Cash Advance (MCA) product had reached. Once the ‘Plan B’ option for retail businesses in need of capital, the sale of future card payments was utilized to finance a project at a Las Vegas casino. And it was no small figure. New York based Strategic Funding Source (SFS) in collaboration with Vion, shelled out $3.147 Million in return for $4.092 Million of the Las Vegas Mob exhibits’s future sales. That’s a cost factor of 1.30, a price that typifies the average MCA deal. We won’t pretend to know what led to the downfall of the Las Vegas Mob exhibit or why it went south so quickly. SFS could potentially lose 98% of their investment, a hit that will surely change their outlook on doing large deals in the future. The VegasInc article alleges gross mismanagement and fraud, factors that are difficult to foresee in the course of underwriting. Industry message boards have been abuzz with comments on the default, with some competitors of SFS being accused of kicking a man while he’s down. “you ought to do smart funding, not just showing off your Balls,” one broker fired off at them. SFS has a stellar reputation and is one of the most knowledgeable firms in the MCA space. We have no doubt they inspected the merits of the deal backwards, forwards, and upside down. But nothing is perfect. The default is expected to attract attention of the news media, leaving many to wonder how this transaction will be interpreted under the public eye. We assert that it will put to rest any criticism the MCA product has ever received about high costs. Any business that can’t get a bank loan, can’t get one for a reason. There’s a measurable value of risk that’s not worth taking. 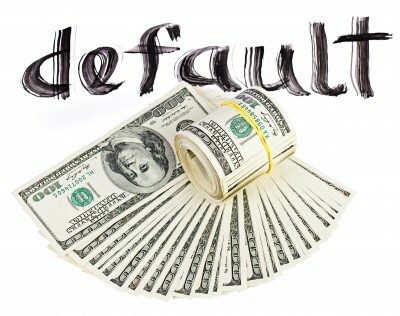 MCA providers fill the gap but compensate to offset defaults. There’s a term for something like this. It’s called a Happy Medium. Merchant Cash Advance is the happy medium financing option for small businesses. And for the immediate future it is likely to stay within the small business niche. We all know now what can happen when the concept is applied to a multi-million dollar project. The outcome was not so happy and the loss not so medium.